Mars’ Perseverance Valley, seen by the Opportunity rover. NASA is hoping that Martian winds will clear some of the dust from Opportunity’s solar panels, allowing the rover to generate power and awaken. In late May, a small dust storm quickly became a global event. Though these kinds of storms occur occasionally, this year’s was one of the strongest on record. The nuclear-powered Curiosity rover weathered the storm just fine, but solar-powered Opportunity, which has been on Mars for 15 years, went into safe mode. Scientists hoped for the best but worried about the possibility that it couldn’t withstand the cold. NASA began hunting for Opportunity once the dust storm cleared. Its efforts include an “active listening” component, where they send signals to the rover hoping to wake it up, as well as a “passive listening” component, which involves waiting for a signal from NASA’s network of radio receivers it uses to communicate with its deep-space probes. It was widely reported that the active listening component would last for 45 days, but the new press release states that current strategy will continue on, with a reassessment in January 2019. 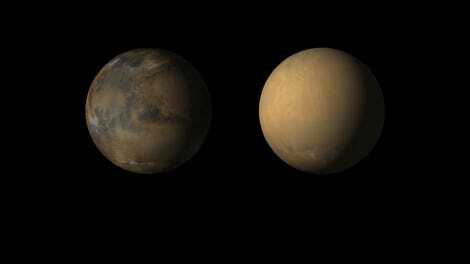 The logic behind the decision is that Opportunity was right at the center of the dust storm. It’s possible that dust caked over its solar panels, preventing it from charging its battery. During the current season, the winds blow such that they might knock off some of that dust. Curiosity has already received some dust clearing of its own, according to the Planetary Society. 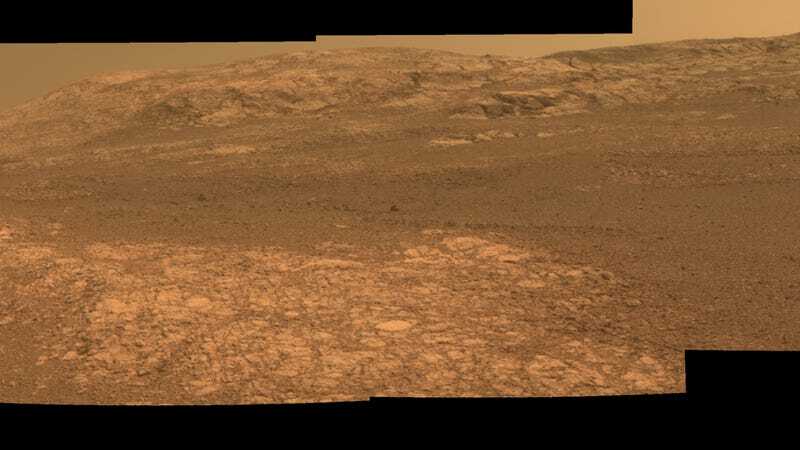 Opportunity has become a charismatic rover for the space agency. After far outliving its initial 90-day lifespan, it’s generated plenty of scientific results about the history of Martian rocks and about water on the planet. People at NASA and around the world are rooting for it. Some have groaned that this autumn has demonstrated that NASA’s infrastructure is aging. After all, both the Hubble and Chandra telescopes faced safe mode-inducing glitches, and both the Dawn mission to Ceres and the Kepler exoplanet mission have recently ended. But all of these missions have in fact been massive successes that endured well past their initial lifespans. Thankfully, there are other missions to get excited about. The James Webb Space Telescope is scheduled to launch in 2021. OSIRIS-REx is nearly at the asteroid Bennu, and the Transiting Exoplanet Survey Satellite (TESS) has already begun to discover new exoplanets in Kepler’s stead. Two newer missions, InSight and Mars2020, will further study the Red Planet. It’s hard to see a beloved mission like Opportunity die, and we hope that the rover does indeed wake up soon. We’re glad that NASA supports the team enough to continue listening for it. But keep your head up, because space and Martian science continues on—and will continue to do so, if we vote for politicians who value space science.